There is no denying that the importance of video content is on the up. YouTube’s own statistics tell us that more than 1 billion unique users visit YouTube each month, and Cisco’s recent white paper claims that consumer internet video traffic will account for 69% of all consumer internet traffic in 2017, up from 57% in 2012. The web is awash with similar studies and research. Marketers have already realised video’s importance; Qbrick’s third annual study based on their survey of over 600 marketing professionals found that 93% of those marketers are using video content. Further more, 83% of the respondents answered that video has had a positive impact on their business or organisation. OK, so we know video content is important. But I’m sure you’re wondering how this affects you. If your company wants to improve brand awareness, engage with its audience and drive conversions video is the way forward. Or at least, it should be considered an important part of the marketing mix. Econsultancy recently published an article about why 2014 is crunch time for video content marketing. In this post, Sophie Rayers writes that to drive conversion we have to understand the consumer’s journey and ensure we are serving them the right type of content, at the right time. Higher up the sales funnel, videos can be used to showcase a new product range or simply give the viewer an insight into the brand experience, and further down, detailed product views and customer testimonials can help turn that enquiry into a conversion. Consumers don’t buy a product, they buy an improved version of themselves. It’s all about features vs benefits. You don’t want to bang on about how amazing your new product is but show consumers what it could do for them. 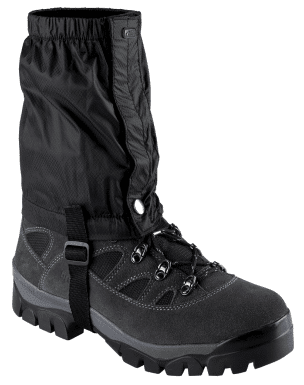 I’m doing the Yorkshire Three Peaks Challenge in a few months so I’ve been looking at gaiters. For those that don’t know, these exciting products clip onto your walking boots and are like waterproof sleeves for your ankles preventing muddy trouser bottoms, soggy socks and general rising damp, which is less than desirable when potentially walking 24 miles in the rain. See, I said they were exciting! Anyway, my point is, the ecommerce site where I’m looking at gaiters could rave on about the features of their product until they’re blue in the face but a short video showing me how much happier I would be without soggy ankles could persuade me to add these little beauties to the basket. Basically, your video could motivate your audience to take action. Video can also be used to develop the relationship between the customer and brand. People like to buy from people. Putting a face to your business is a great trust factor. Why not show your potential customers what a lovely person you are? Show them how passionate you are about the product or service you’re selling and get them excited too. We’ve all seen those hideous infomercials that are on before the proper telly starts in the morning but did you ever wonder how many people have phoned up to buy that box set of Zumba DVDs so they can get abs just like those lucky ladies in the video? I’ve been tempted to pick up the phone more than once! In a video on The Guardian’s Media Network, documentary director Morgan Spurlock said that video isn’t about selling something anymore, it’s about making a meaningful connection with the audience. Video can allow you to reach out to your audience and separate your business from the competition. Many consumers are very loyal to certain brands. It’s usually because they have made a connection with that brand. 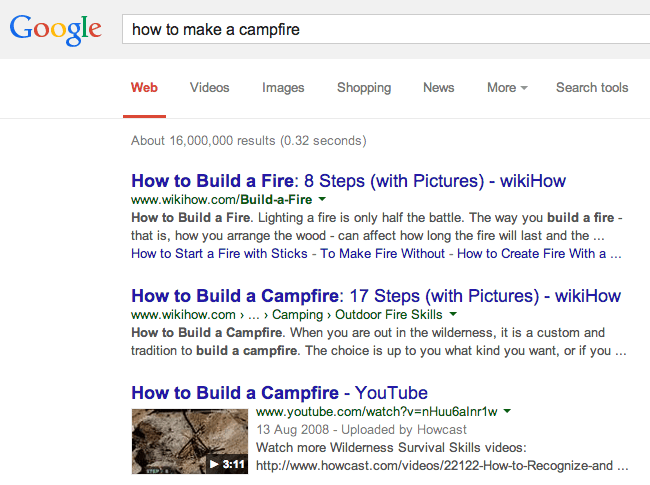 YouTube video content stands out on the search engine result page. Video is easy to share through social media. To give an example from Skipedia, travel company Esprit Ski have been posting regular videos on their YouTube channel this season. Their Facebook Likes have increased by 44% (all organic) since the start of the season and their Twitter followers have increased by 26%. In Skipedia’s own words, the videos have positioned the brand as “unpretentious, fun and friendly – who wouldn’t want to travel with a company with those credentials?”. Emails with ‘video’ in the subject line receive higher click through rates. How about now? Are you a little more convinced? If you do decide to create videos for your brand, just remember to think about what you are trying to achieve. Do you want to drive sales of a particular product? Or increase YouTube channel subscriber numbers? Whatever your goal, keep it in mind throughout the video creation process, and make sure you include a clear call to action at the end of the video. You need to clearly tell viewers what you want them to do next. If you don’t ask, you don’t get. Have you made any branded videos? What’s your experience? Join in the conversation in the comments section. Did you know Sleeping Giant Media are now offering video production as a service? We can create professional video content for a wide range of purposes.